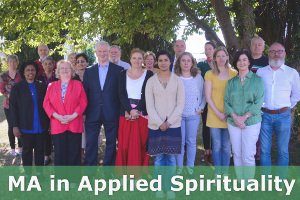 1) Ground-breaking international conference on ‘Spirituality in Society and the Professions’, May 16-18, 2019, at Waterford Institute of Technology – A collaboration between European SPES Institute (http://eurospes.org/) and SpIRE Institute in Dublin. For the list of speakers and topics, and the time-table, see under the Events tab on this website. 2) Intuitive Inquiry master class with Dr Rosemarie Anderson, a world leader in the field. See under the Events tab for further info and about how to book one of the limited places, which is essential. The Spirituality Institute for Research and Education (SpIRE) has been established to serve the spiritual seeking of people. It emphasises the value of the academic study of spirituality in higher education, and the phenomenon of ‘spirituality and’. ‘Spirituality and’ refers to the relationship between spirituality and the manifold areas of lived experience. These areas include healthcare, management, leadership, disability, social concern, ecology, aging, and social media, etc. The interface between spirituality and such areas are all signs of a new spiritual consciousness across the globe. This global spiritual awakening is moving people to seek spiritual resources for issues about the meaning of life. The issues arise in a range of settings such as work, family, relationships, life-transitions, and concerns regarding human, societal and planetary wellbeing. In order to serve the journey of life in its spiritual dimension and connection, SpIRE aims to develop contemplative and critically informed spirituality guides, reflective practitioners, and skilled researchers. It will give effect to its aims through education, research, training, consultancy, publishing, and networking. The networking will involve collaboration with similar initiatives and entities in Ireland and beyond. At the very successful fifth SpIRE public lecture: Prof Michael Howlett (SpIRE Committee), Dr Michael Murray (SpIRE Committee), Prof Fiona Timmins (SpIRE Committee), Prof Bernadette Flanagan (Chair of SpIRE), Prof Stephanie Paulsell (Harvard), Dr Michael O’Sullivan (Director of SpIRE). The lecture was held on 8 March 2016. “It is a gem of a course, combining so well action and contemplation, personal development and academic study and research. I feel very privileged to have had the opportunity to be part of it this year”. “It was truly a remarkable experience and I feel very blessed to have been a small part of it”. “This course was just what I was looking for. I had just retired (as a school principal) and was looking for a programme that could help me to explore and deepen my spirituality. A wonderful and unique aspect of the programme is that it gave me a solid academic foundation and, at the same time, allowed me to look deeply into the inner landscape of my soul. The applied, contemplative focus of the course has challenged me to live with greater authenticity”. “I applied for the MA after many years of restless seeking. Having been through many life crises and in spite of huge resistance I finally listened to the call of my heart to pursue formal study in the field of spirituality. I could not have anticipated the gift that this course would become in my life”. 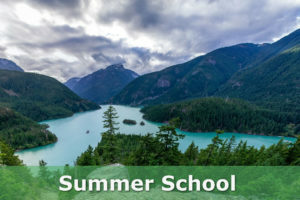 “This is a unique course that integrates academic study and research with the deepening of self-awareness, which has enabled me to meet the challenges life presents to me, with greater clarity, authenticity and compassion and has provided me with a wonderful support network of like-minded people who wish to live from a similar wellspring”.